Temporomandibular Joint Syndrome is a condition that affects the joints, muscles and nerves that control the movement of the jaw. 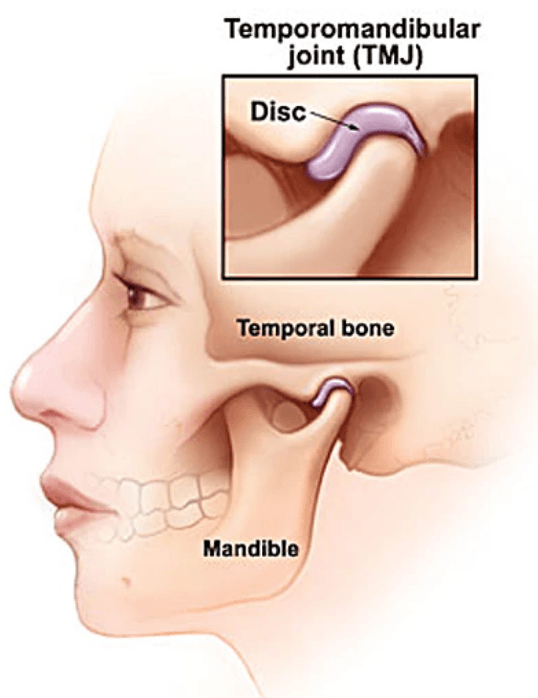 The temporomandibular joint is the connection between the jawbone and the skull. An injury to this joint can cause pain and discomfort when speaking, eating and sleeping. However, many patients are unaware they may have temporomandibular issues because those with TMJ disorders do not display typical symptoms associated with oral disorders such as bleeding, swollen gums or lesions in the mouth. Although it’s difficult to determine the exact cause of TMJ, pain in the jaw and associated muscles can result from a number of factors, including genetics, arthritis, teeth grinding or clenching, or an injury to the jaw bone. Indications of TMJ include tenderness of the jaw, pain and difficulty when chewing, crackling, clicking or popping sensations in the jaw, facial swelling, headaches, migraines, and locking of your jaw joints, which can affect your ability to open and close your mouth. In some cases TMJ can cause internal movement of the joints, resulting in displaced discs, dislocation of the jaw, or damage to the underlying bone. Typically, TMJ tends to affect women more commonly than men. The condition is temporary and can be resolved at home through self care, and with non-surgical treatments to help manage and relieve pain. If you experience any of the symptoms of TMJ, it is important to schedule a visit with a periodontist. 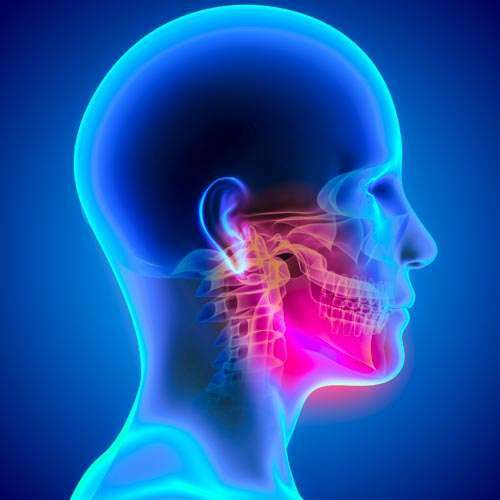 They can perform a physical examination to examine the head, neck face, and temporomandibular joints to check for pain and tenderness, sounds including clicking or crackling, healthy range of motion in the lower jaw, pain tolerance, teeth alignment and movement, and facial bone deformity. Based on the assessment, your experienced Beverly Hills periodontist the doctor will create a treatment plan. To manage the pain, a periodontist may prescribe an anti-inflammatory pain medication, or recommend using a splint or mouth guard to prevent the teeth from grinding together and reduce the harmful effects of grinding and clenching to relieve pressure in the mouth. Using ice packs and consuming soft foods can also help to ease discomfort. Your experienced Brentwood periodontist may first recommend using a night guard to prevent the teeth from grinding together and reduce the harmful effects of grinding and clenching to relieve pressure in the mouth. Another effective treatment is utilizing botox injections to directly target overactive muscles which contribute to TMJ. Depending on where the discomfort or pain is coming from, several botox injections will be inserted into the primary muscles used to chew. The CENTER For Advanced Periodontal & Implant Therapy also offers Infrared Light Therapy as a form of treatment for TMJ. This non-invasive procedure utilizes light frequency to promote healing on a cellular level to minimize pain, reduce muscle stiffness, and provide muscle and joint relief.